Attempts made by Scientists to understand the processes and effects related to climate change could bring about some good news. Scientists from Florida State University have learnt that chemical weathering can take place at a more rapid rate than what the Scientists earlier assumed and could possibly counteract some of the current and future climate change triggered by humans. Chemical weathering is a process dealing with the breaking down of rocks by carbon dioxide following which it gets trapped in sediment. The results have been featured in the journal Scientific Reports. Generally, Scientists assumed that this process takes hundreds of thousands to millions of years to occur, helping to improve warming trends at a remarkably slow rate. Researchers at FSU presently propose that it can take several tens of thousands of years rather than potentially millions of years. It is not a quick fix though. Increased chemical weathering is one of Earth’s natural responses to carbon dioxide increases. The good news is that this process can help balance the effects of fossil fuel combustion, deforestation and agricultural practices. The bad news is that it will not begin to counteract the excessive amounts of atmospheric carbon dioxide that humans are emitting for at least several thousand years. The climate gets warmer as atmospheric carbon dioxide concentrations increase. Chemical weathering takes place at a rapid rate because of the warmer climate and this process takes in carbon dioxide from the atmosphere and then reduces the greenhouse effect, leading to climate cooling. 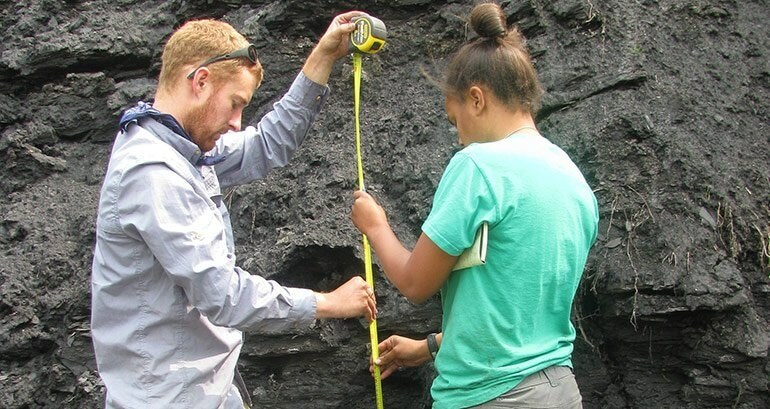 The Researchers performed this study by determining the rate at which rocks were chemically broken down within a period of rapid warming in the Early Jurassic Epoch known as the Toarcian Oceanic Anoxic Event, an interval where a significant extinction event took place about 183 million years ago. The team processed and measured the trace elements of their rock samples by collaborating with colleagues at Durham University in the United Kingdom and by employing state-of-the-art analytical instrumentation within the National MagLab’s Geochemistry Group. We noticed that although chemical weathering increased significantly during this time interval, it was not as large as previously hypothesized for this event. What’s really striking, however, is the planet’s ability to respond to these environmental changes on such short timescales. It is also possible for this increased chemical weathering process to have another disadvantage. The results suggest that extensive oxygen-deficient oceans occurred because an increase of nutrients from the breakdown of rocks traveled into the oceans during the Early Jurassic Period. The team expects that future changes in weather and climate patterns due to a warming planet will develop more precipitation and lead to a rise in the amount of nutrients and river water transported to coastal regions. This indeed is expected to increase both the duration and size of future coastal ocean deoxygenation, causing a negative impact on the sea life in those areas. Understanding ancient climatic change like this helps us anticipate the timing, implications, and environmental response to better predict future climate scenarios. Benjamin Gill from Virginia Tech, David Selby and Darren Gröcke from Durham University and Richard Friedman from University of British Columbia are the other Authors on the paper.